In all innocence, I asked Superman actor Christopher Reeve some innocuous question concerning his relationship with British modeling agent Gae Exton, with whom he had two children in the early 80s. It was July 1986 and Reeve, with three successful Superman movies to his credit, was in Montreal shooting a flick called "Street Smart". He immediately stiffened when I mentioned Exton and questioned me as to why I was asking. I replied that I had done research on him in an effort to find an interesting story angle. He gave me a cold look and said we could continue the interview but that he didn’t want to discuss Exton. As it turned out, he and Exton broke up a year later. The next day, I received a call at UPI, where I was Montreal Bureau Chief, from Reeve’s New York-based agent, who indicated to me that her client was concerned that I was trying to get dirt on him based on my “research” remark the previous day. I reassured the anxious agent that my only intention was to write an interesting profile on Reeve and that I had made no effort to dig up intimate facts from his past. My subsequent story was published in many newspapers, including The Daily Herald in New Jersey. The incident was a first-hand reminder that the biggest stars —including the Man of Steel — have insecurities like us normal mortals. PHOTO:UNITED PRESS INTERNATIONALFOR THE FOURTH time, Christopher Reeve will play the starring role in a "Superman" movie. The newest chapter will begin filming in England later this year. MONTREAL — The next time he flies in uniform, the Man of Steel will look the same but will act differently. Christopher Reeve has agreed to star as his well known alter ego in a fourth "Superman" movie, but this time he will have complete editorial control over the script. He plans to make some major changes in the Superman character. Reeve, in Montreal recently filming his latest movie, "Street Smart," was enthusiastic when asked about expanding his role from actor to script writer. Reeve, along with director Jerry Schatzberg and screenwriter David Freeman, played a major role in revising the plot of "Street Smart," in which he stars in the lead role of ambitious yuppie magazine writer Jonathan Fisher. The story revolves around Fisher, who fakes a cover story profiling a Times Square pimp after he is unable to come up with the interviews in time for his New York magazine's deadline. The script, written by Freeman five years ago, was updated last winter after Schatzberg and Reeve spent time researching the seamy night life of Times Square. Reeve traveled with undercover police and worked with New York television and magazine reporters to get a feel for the story. It marks the first movie he has had a direct hand in writing. "I really had a good time doing it," Reeve said as he relaxed in his Winnebago between scenes shot on downtown St. Lawrence Boulevard. "Here was a script that basically worked and yet I had a lot of new information that I gained from research. I was able to take existing scenes and transform them into something that was hopefully more real." Plausibility is an important element in any production Reeve is involved in. He vowed three years ago not to do a fourth Superman movie because he felt the third one had evolved into a parody, "a National Lampoon world of its own." In December 1985, he met with producer Menahem Golan in New York and struck a deal to star in a fourth Superman movie if Golan would produce Reeve's pet project, "Street Smart," and give him absolute control over the script of Superman IV, which will begin filming in England in three months. Reeve, who turns 34 in September, is excited about both films. "The more I choose material that I really care about, that I'm really interested in, the better I do," Reeve said. "'Street Smart' is about the seductive power of journalism, of media and the street life on an ambitious white, middleclass yuppie. "I'm really intrigued by the moral dilemma of a guy who really wants to please the boss and allows himself to cheat as a result of it," Reeve said. Superman will continue to fly, but his feet will be more firmly on the ground in Reeve's next version. Rather than reacting solely to crises, the new Superman will get involved in people's daily lives and try to lift their despair by dealing with issues such as the omnipresent nuclear threat. "I'm interested in Superman's feelings about real people today and what would it be like if there were really such a person among us," Reeve said. 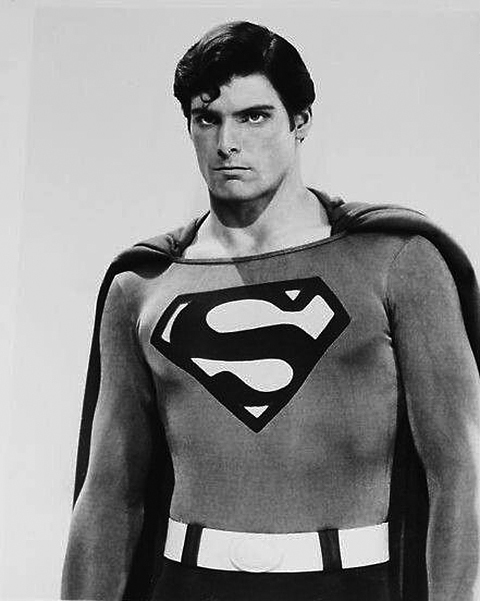 Being typecast by the public as Superman is a fact of life that Reeve accepts. "There is no actor, with the possible exception of Meryl Streep, who is exempt from typecasting," he said. "Rex Harrison, after "My Fair Lady," Sean Connery, Richard Chamberlain, Albert Finney after "Tom Jones," AI Pacino in "Godfather." The way you first arrive on the scene will be the label they brand you with for a while." Being his own man has meant choosing roles that satisfy his creative needs. "I've always followed my instincts. A lot of choices I make work against what people's image of me might be. I don't care whether the role is a guy who is homosexual, psychopathic, freaked out, drugged out, a priest whatever. "I don't do what some actors do which is to find out what corner of the market you can occupy and then just remain there. I'm much more experimental." Reeve has an impressive list of movie and stage credits in diverse roles going back 19 years. He has appeared in 11 films, 10 of them as the leading man. He has been in 110 plays. Last year, he teamed with Vanessa Redgrave, Linda Hunt and Jessica Tandy in the film version of Henry James' "The Bostonians." Many critics have given him better reviews for films such as "The Bostonians" and "Deathtrap," than for "Superman," which they consider "popcorn entertainment," Reeve said. One of the few film actors who performs regularly on stage, Reeve spent last fall at Broadway's Circle in the Square Theater, where he starred in the Andrei Serbandirected stage adaptation of Beaumarchais' "The Marriage of Figaro." When not performing, Reeve is actively involved in the New York theater as a member of Circle Repertory Company and on the Committee to Save the Theaters. "I once heard a Hollywood actor say 'Stage is the place you go when your film career is bombing.' I think that is a very cynical comment and not true," Reeve said. "The stage is a greater challenge. You have to have a real skill and a real technique to work on stage. "In film, you can almost take someone off the street and with the right lights, music and editing, make him look better than he really is. On stage, you're naked and out there by yourself." Off stage, Reeve guards his privacy, but remains a gracious exception to the image of Hollywood arrogance. He recently took time prior to shooting to show former Canadian prime minister Pierre Elliot Trudeau, his three sons and former "Superman" costar Margot Kidder around the set. Reeve goes out of his way to greet a reporter waiting on the side to interview him. His father, who teaches seminars on poetry and shortstory writing at Yale and Wesleyan universities, and his mother, who writes for a weekly newspaper in New Jersey, divorced when he was growing up. Reeve says he is "very, very close" to his brother, who is one year younger and a law student. He has four halfbrothers and one halfsister from his parents' remarriages. Reeve lives in a duplex on New York's Upper West Side with Briton Gae Exton, a model's agent he met when filming the original "Superman" in London. They have two children — Matthew, 6, and Alexandra. 2. On his role as a parent, he says: "The most important thing a father can do is to make it clear to his children that they don't have to show off or do anything other than be themselves in order to receive love." Outside work and family, Reeves hobbies are skiing, flying, gliding, sailing, and playing piano and tennis. He has been known to fly his twin-engine plane from New York to Vermont, take a 50mile bike ride and return home the same day. He has logged more than 2,000 hours of flying time and has flown his own plane across the Atlantic twice. While gliding in England seven years ago, he was forced to put down on a disused British military airfield. Already known around the world as Superman, he was welcomed by the crusty British officers, who ushered him into the guardhouse for some tea and autographs. When asked why he chose to become an actor while growing up in Princeton, N.J., Reeve seems stumped. "I have no idea other than there was a theater in town and I started working there." As to why he stayed in acting. Reeve smiles and relates an anecdote about his freshman year at Cornell University, where he studied English literature and drama. The 6 foot 4-inch Reeve decided to indulge his passion for ice hockey by trying out for goalie on the university team. "The puck was coming faster and the hitting was harder than it ever had been in high school," he recalled. "I just thought: 'I don't really need this. I prefer the theater.’"